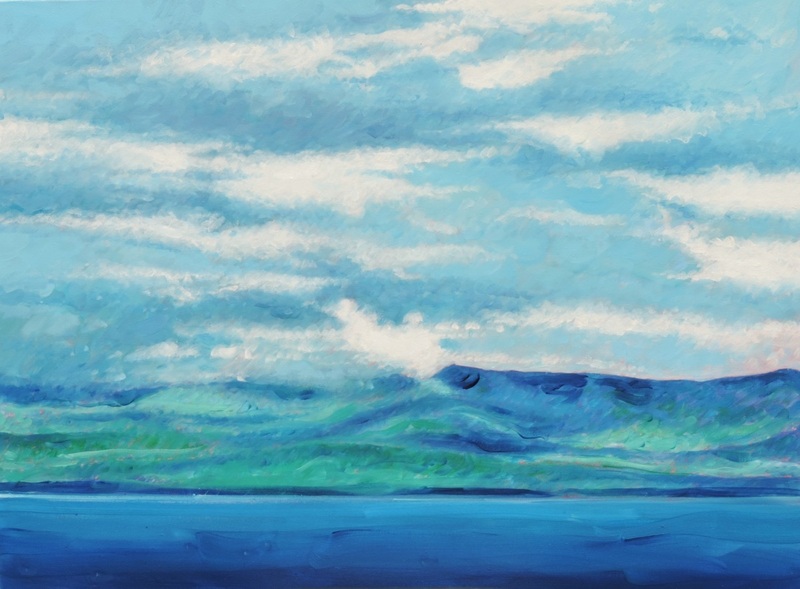 Oil painting of the coastline at Ring of Kerry in Ireland. View of ocean, land and clouds. Using oil paint, I painted this coastline scene on a 30 inch x 40 inch canvas. The painting is signed and dated on the back of the canvas (2013-2014). 5" x 6.75"6" x 8.25"7" x 9.5"8" x 10.75"9" x 12.25"10.25" x 13.75"